An investment platform lets you buy, sell, store and value your shares, bonds and funds. Some platforms also provide research. All platforms have a website and some have apps for your mobile and tablet. But how much should you pay for a platform? And should you pay a percentage of the value of your investments each year or a fixed cash amount each year? 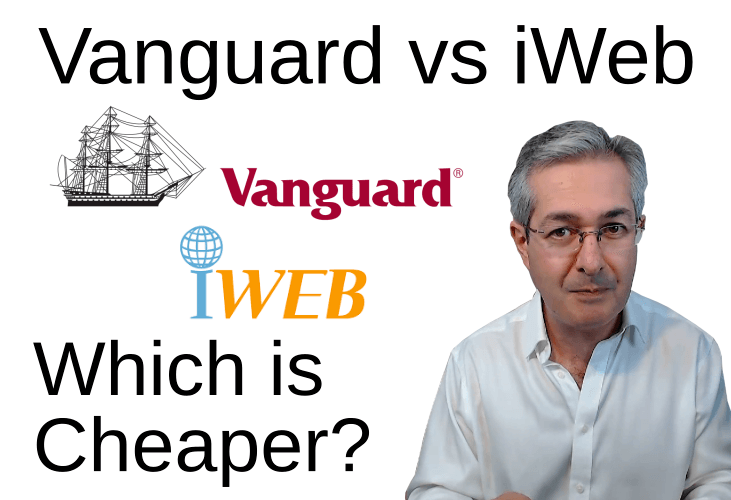 In this article we compare the costs of two of the cheapest platforms: Vanguard and IWeb. IWeb's annual fee is zero, but it has a setup fee and charges for trades whereas Vanguard charges 0.15% of the amount you invest capped at £375 per year, has no setup fee and you can trade for free. It turns out that the cheapest platform depends on how much you invest and how much you trade. It's worth mentioning that Vanguard only allows you to trade its own funds whereas IWeb gives you a choice of thousands of funds and shares. The most basic function of a platform is to hold your investments on your behalf. There are many regulatory requirements that a platform must satisfy and a great deal of financial plumbing that they have to build and maintain. They also have to pay a team of people to provide support when you run into a problem or need information. That's why some platforms charge you a fee for holding your investments. The name of this fee varies e.g. account fee, ongoing fee, platform fee, custody charge. Account fees are either charged as a percentage of your invested amount or as a fixed cash fee. When you compare the fee you pay for different platforms you must know how much you are going to invest. Generally speaking, for small investments the percentage fee is often cheaper and for large investments the flat fee is cheaper. In this fee model each year you will be charged some percentage of your invested amount. 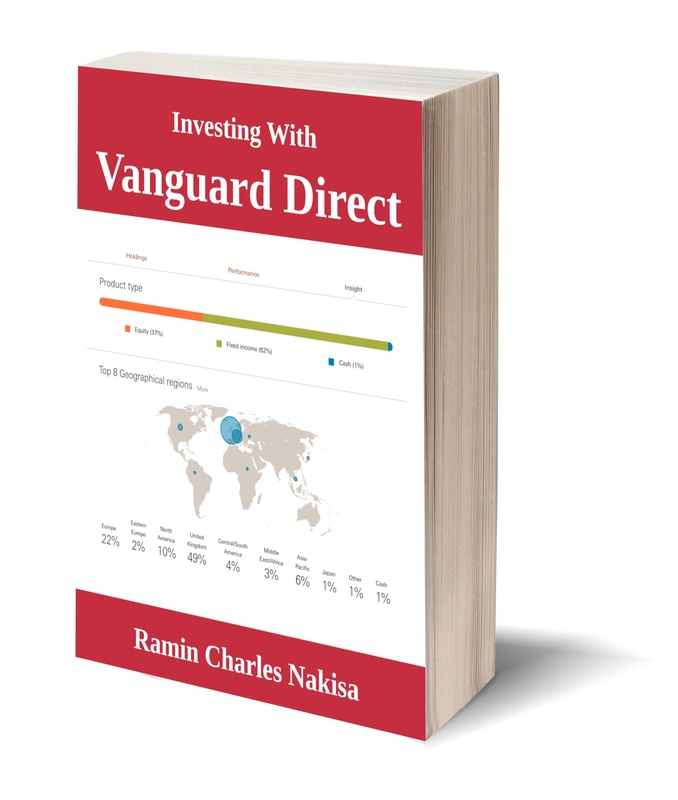 Vanguard charges fees in this way using a rate of 0.15% of your invested amount paid quarterly. However, the fee is capped at £375 per year, so you will never pay more than this amount. The cap means your fee stops increasing once you reach an invested amount of £250,000 (because £375 is 0.15% of £250,000). This table illustrates Vanguard's fee structure as we vary the amount invested. Here is the Vanguard fee structure as a graph, note how the fee cap asserts itself at £250,000 invested. IWeb is unusual in that its fixed cash fee is £0 per year! IWeb charges £25 to open a Stocks & Shares ISA whereas opening an ISA with Vanguard is free. IWeb charges £25 per individual stock to transfer to another provider capped at a maximum charge of £125. Vanguard does not charge for closing your account or transferring funds to another provider. IWeb charges a fixed amount for each trade. You can control how much you pay in trading fees by trading as little as possible. But some trading is always necessary, for example to buy funds when you open an account, or if you deposit more funds that need to be invested, or for the occasional rebalancing your portfolio. Vanguard offers two ways to trade, one of which is free and another which is not. This is the popup that appears when you click on "Invest" on the Vanguard platform. "Next trading point" bundles your trades with those of all the other Vanguard clients and executes the trades in bulk at very low cost to Vanguard and at no cost to you. The drawback is that the price at which you trade might be slightly different from the price when you place the order. 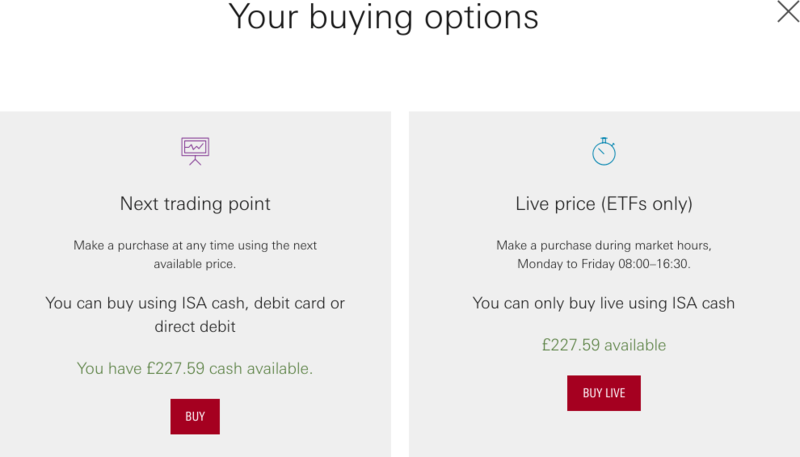 If you definitely want to trade at a price you know then for exchange traded funds (ETF) this is possible using the "Live price" option, but you will have to pay a fixed fee of £7.50 for each trade. The answer depends on your investment behaviour and the amount you invest. One way to look at it is to ask how many trades you would need to do on IWeb to equal the Vanguard percentage fee as the amount invested increases. If the amount invested is £20,000 or less all it would take is six trades per year for Vanguard to be cheaper than IWeb. It is quite likely that routine portfolio maintenance would generate this number of trades per year. However, if you invest £100,000 the number of trades to break even would be 30 and it would be quite easy to ration your trades to be below this number. The precise cutoff would depend on how frequently you trade. Another way of comparing the two is the time taken for Vanguard's annual fee to exceed the initial setup fee of £25 for IWeb, but this tells a similar story. 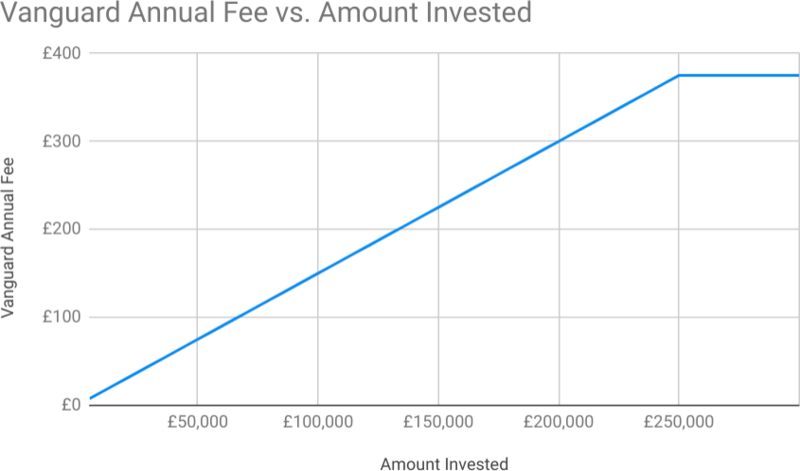 If your invested amount is £10,000 then Vanguard's fee will exceed the setup fee for IWeb in just under two years assuming you don't trade at all with IWeb. The final comparison we will consider is a more realistic comparison where we assume there is some trading activity. When comparing fees IWeb always starts behind in the race with Vanguard by charging its £25 initial fee. It will never catch up if the cost of trades per year equals Vanguard's annual fee. Due to the £25 initial fee Vanguard will always be cheaper than IWeb because the amount paid for trades on IWeb equals the platform fee for Vanguard. Ultimately the choice of cheaper platform depends on whether you can restrict how much you trade or invest large sums. Either of those will tilt fees in favour of IWeb. If you want to trade more frequently or have a small amount to invest then you would be better off with Vanguard. This table shows which platform would be cheaper as we vary amount invested and trades per year, and in cases when IWeb is cheaper, the number of years taken to absorb the cost of IWeb's entry fee. Although we have compared just two platforms in this article you can use the equations in the detail boxes above to compare other platforms using a similar approach.